This intensive colour enhancing conditioner adds golden tones to lighter shades of your hair. Aveda Camomile Colour Conditioner rejuvenates and refreshes your highlighted or natural hair, keeping the colour fresh. 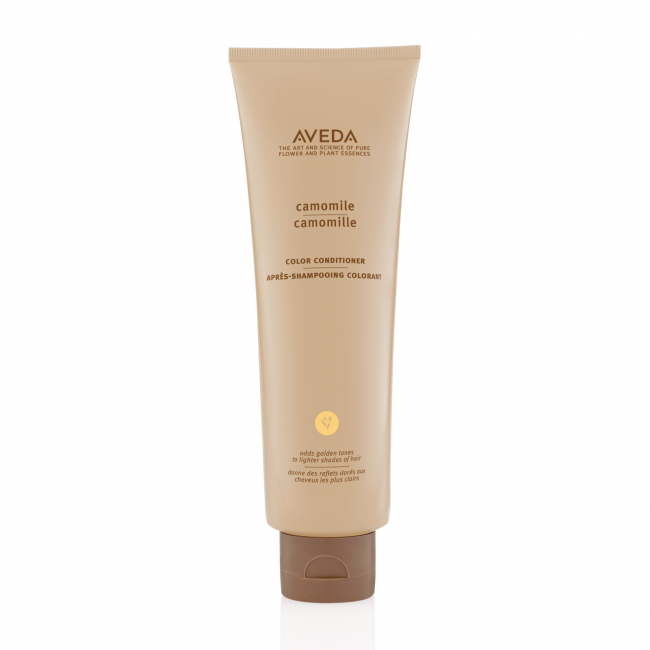 Aveda Camomile Colour Conditioner contains organically grown camomile, calendula and plant derived beta carotene to enhance your golden tones. It deeply conditions leaving your hair lightweight, and feeling and looking shiny, silky and more manageable. After shampooing your hair work Aveda Camomile Colour Conditioner evenly into your hair. For a deeper colour deposit leave on longer. Use every 2-3 shampoos for consistent, lasting colour enhancement. Please note: your chemically treated hair will take colour more intensely.